Advaita Vedanta, or the path of non-duality, captures the essence of Indian spirituality by pointing directly to the ultimate reality underlying the phenomenal world. Sri Aurobindo is considered one of the greatest spiritual philosophers of modern India, who through his training as a Western scholar and deep mystical understanding, was able to present the wisdom of the East in a form adapted to Western thought. 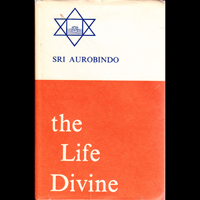 The Life Divine is a visionary work of great scope and relevance to our present day. 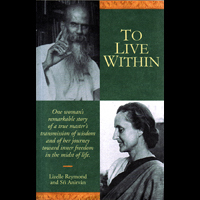 The author, a long-time student of Ramana Maharshi, recorded many of her teacher's talks with students, as well as reminiscences of the daily life at his ashram. 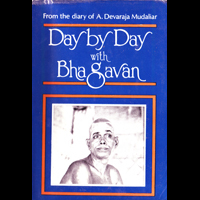 The book captures the flavor of life with the great sage and the impact of his profound teachings. 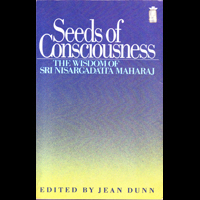 This collection of timeless teachings by one of the great sages of India is regarded by many as a modern spiritual classic. Sri Nisargadatta did not propound any ideology or religion, but gently directed seekers to their real self beyond mind and body. 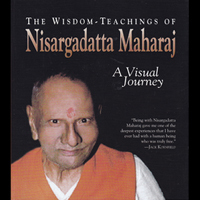 In a series of dialogues with seekers from all over the world, Sri Nisargadatta conveys the timeless message of Advaita Vedanta in striking concise images. 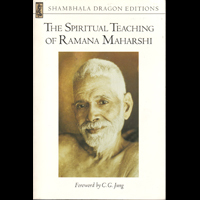 Ramana Maharshi stressed the essential truth of the Self as the direct path to enlightenment. 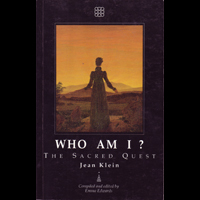 These question and answer sessions with seekers reveal the skill with which this great master brought the listener back to the ultimate truth through the practice of self-inquiry: Who Am I? 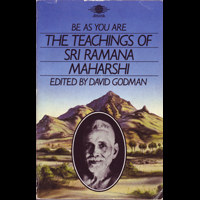 David Godman has assembled a comprehensive collection of conversations between Ramana Maharshi and the many seekers who came to his ashram for spiritual guidance. They contain the essence of his teaching of Self-realization through the process of self-investigation. 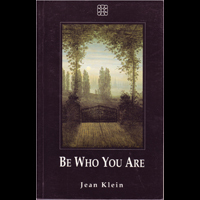 Jean Klein was a musicologist and doctor who travelled to India where he was initiated into traditional wisdom and sent to the West to teach Advaita Vedanta. 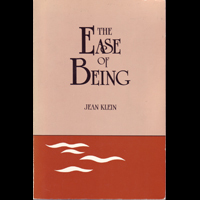 This book is a series of questions and answers in which Klein employs the 'direct approach' pointing to our ultimate state of Being. 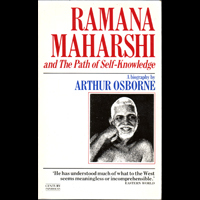 In this biography, Arthur Osborne provides a vivid portrait of Ramana Maharshi and a first-hand account of life in his Indian ashram. Osborne gives fascinating details of the impact of his teacher's personality on a number of his followers. 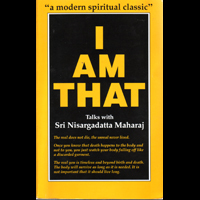 This collection of talks between Sri Nisargadatta and his followers captures the essence of self-inquiry as a means of spiritual transformation. His words are simple and direct, pointing to the self-imposed barriers preventing Self-realization. 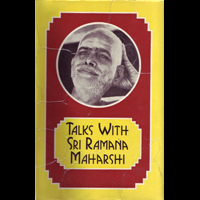 The transcribed conversations of Ramana Maharshi are prized for their great inspirational power, which transcend all religious differences. 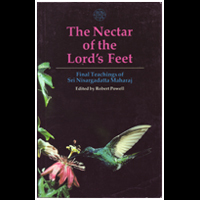 This collection of his instructions and discourses is structured by themes such as peace and happiness, self-realization and the discipline of self-inquiry. 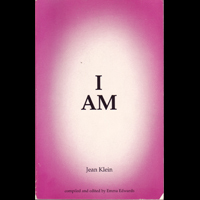 In this collection of question and answer sessions, Jean Klein continually directs attention to our fundamental nature. In a clear and lucid style he offers insights into realizing our true nature of inner peace, beauty and wholeness. In a series of interchanges with students Klein discusses a range of subjects such as words, language, yoga and personal problems. In each conversation the question is explored in relation to the fundamental basis of all questions - knowledge of the Self. Based on seminars held in the United States and Europe, the book explores almost every aspect of self-knowledge. Klein also discusses his early life, meetings with his teacher in India and the moment of his awakening. 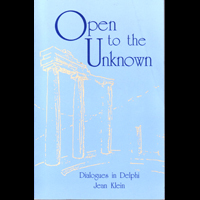 Klein inquires into the nature of self-knowledge in dialogues with spiritual seekers from around the world. "When the mind is free from knowledge and anticipation it is open to the unknown, available to the all-possible." 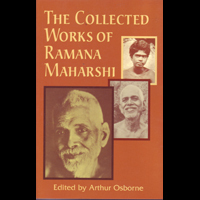 This book of the original written works of Ramana Maharshi, including Self-enquiry and Hymns to Arunachala, presents his basic teachings in both prose and verse. 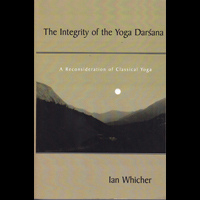 Dr. Ian Whicher is Head of the Department of Religion, University of Manitoba and a long-time practitioner of Yoga. Centered in the classical teachings of Patanjali, the book presents a vision of Yoga that enables one to live more fully in the world without being ensnared by worldly identification. 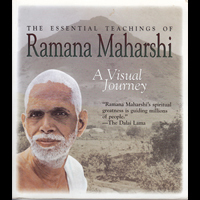 Ramana Maharshi taught that we can realize the profound peace of our true nature by turning our attention to the fundamental question that lies at the heart of all spiritual teachings, ”Who am I?” In the book aphorisms reflecting the essence of his teachings are set against a background of photographs of Ramana and his milieu. Frances Lucille is a direct student of respected Advaita Vedanta master Jean Klein. The book is based on dialogues with the author in America, Canada and Europe, between 1997 and 2002. 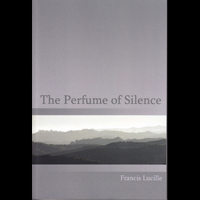 Lucille’s insightful answers from the nondual perspective cover a wide range of topics concerning the nature of spiritual awakening, and always point back to our essential nature as pure awareness and being. Lizelle Reymond travelled widely in search of a spiritual knowledge that could be lived in the midst of everyday life. In the heart of India she met her teacher Sri Anirvân who initiated her into the ancient Vedantic science of inner awakening. 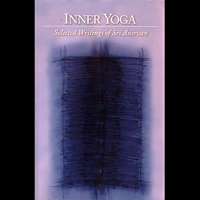 Sri Anirvân explains in depth the various levels of spiritual practice, offering practical advice to the seeker as well as insightful explications of the connection between mind and body. The fundamental teaching of Nisargadatta is that by understanding the false concepts by which we define ourselves, we can awaken from them and realize our true Self. The sayings and aphorisms that appear in the book convey the heart of his nondual approach to spiritual awakening. 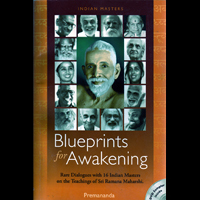 The book is a compendium of Eastern wisdom consisting of 16 dialogues with contemporary Indian spiritual masters based on the teachings of the legendary sage Sri Ramana Maharshi. 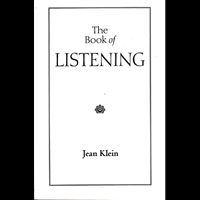 The Book of Listening is a compilation of Jean Klein’s 10-volume journal Listening and previously unpublished private discussions with students and transcriptions of public talks. 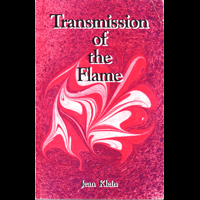 The book offers a clear exposition of the direct path to spiritual liberation and Klein’s unique approach to the role of the body in his teaching of non-dualism. 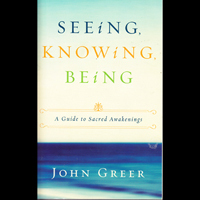 Professor Greer offers a guide to sacred awakening that embraces the essential nondual core of all the world’s great spiritual traditions. Drawing from ancient and modern teachers of Advaita Vedanta, Zen Buddhism, Sufism, Taoism and contemplative Christianity, he shows that we can move from culturally conditioned versions of reality to the wonder of our true nature in which we perceive truth by being. 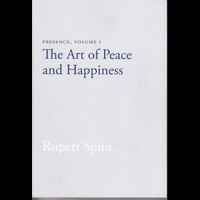 Rupert Spira was introduced to the direct path teachings of Advaita Vedanta by his teacher Frances Lucille, and since then has held meetings and retreats in Europe and America. 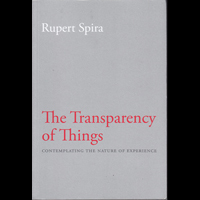 The book is a series of contemplations leading us to see and express our essential being by directly understanding the nature of experience, without any attempt to change it. 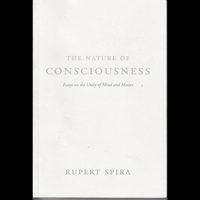 The essays in this book point to consciousness as the fundamental, underlying reality of the apparent duality of mind and matter. 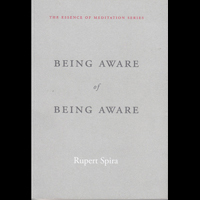 Spira writes with precision and eloquence as he explores the nature of mind, awareness, self-enquiry, meditation and enlightenment. The Nature of Consciousness is a major contribution to our understanding of who we are and our unlimited possibilities as realized beings.